Welcome to the home of precision metal locomotive kits. Modern Outline produces precision metal 'O' Gauge kits that are designed and engineered for you to turn into beautiful models. 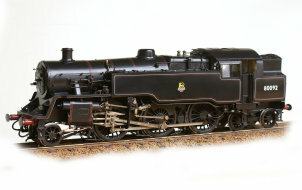 Modern Outline has been designing etched locomotive kits since the early eighties. Since our first 4mm diesel kits, we have designed and manufactured many models in several gauges, not just for ourselves, but for others in the UK and around the world. Our own range of kits has travelled the world too, being enjoyed by modellers in many places from Hong Kong to Australia, New Zealand and Canada as well as Europe. 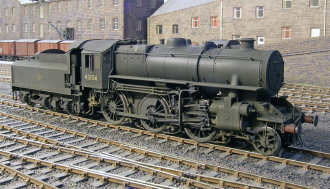 The 9F kit is now available with all 3 choices of tender at �615 + carr at cost. The Consent supplemental castings pack is also now available at �30.00. All those who have purchased a kit need to check out the Help/Updates page for information/amendments to the kit, and continue to keep an eye on it, as further information and/or corrections will be posted as these become known. A further small batch of metal wheels has been ordered. The price is still �270 (subject to exchange rate) including tender. We have just 3 DeGlehn Atlantic kits left in stock and have no plans to produce any more so get in touch if you would like to reserve one.